The Great Tequila and Agave Expo. A celebration of Mexican agave spirits for you to enjoy. The Denver taco Festival Tequila Expo is an event within an event. Attendees at the Denver Taco Festival will have the opportunity to enter an exclusive area to taste an amazing array of tequila, mezcal, Mexican craft beers, talk to experts, and engage in hands on special programming. Mexican craft agave spirits are the embodiment of Mexico. Agave spirits are more than just a beverage, they represent more than 500 years of history and culture. Mezcal’s story isn’t just about alcohol, each bottle contains a piece of Mexican culture, and is a living link to history, tradition, art, and music. It is life and death all in a bottle. 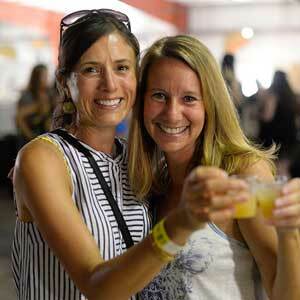 The Denver taco Festival’s Tequila Expo celebrates that identity. Each participating brand will have a table and will pour their mezcals or beverages. We will have a great selection of brands available for you to sample. We’ll focus on artisanal brands currently available in the United States and small production mezcals that you probably have not seen yet. Note: A separate ticket is required to enter this portion of the event. You must also choose a GA or VIP ticket for entry to the Taco Fest. Just add one of the Tequila Expo sessions (1,2, or 3) to your GA or VIP ticket order.